The best breast cancer clinics are represented below. The ranking is composed according to the patients’ reviews, doctors’ professionalism, and level of the equipment applied in the breast cancer clinics. Up to 95% success rate. The hospitals listed below apply the latest techniques to achieve such a result. Organ-preserving therapies. The breast cancer specialists can preserve the breast in the initial disease stage. In case the breast must be removed, doctors perform a reconstruction. A woman will feel psychological and physical comfort after the surgery. Sparing therapies for preserving the ability to have children. If a woman wants to have children in the future, doctors develop the breast cancer treatment plan according to this fact. International accreditation. The breast cancer facilities have international healthcare accreditations and certificates. It means that they provide the breast treatment in accordance with the strict world treatment protocols. Submit a request on Bookimed to choose the most suitable hospital for breast cancer treatment. Our medical doctor will contact you to answer all your questions and schedule an appointment in the chosen breast cancer hospital. With Bookimed you start the breast cancer treatment immediately without queues. Bookimed services are free for a patient. You pay the bill directly in the chosen breast cancer clinic. In general, the impression from the clinic and the organization of the consultation is good. Liked: 1. The professionalism of the oncologist, a pleasant person, inspires confidence. 2. The oncologist answered all the questions I was interested in, did not order unnecessary examinations, carefully studied my medical history and treatment. 3. High-quality work of a translator who was in the doctor’s office 4. Issued a conclusion and sent an invoice to e-mail 5. Taken from the airport and taken to the hotel, which was located far from the clinic. 6. Payment was made after consultation with the doctor, which allowed not to waste time before taking 7. Translator Suleiman who helped with the organization always stayed in touch and solved all the questions that were addressed to him. 8. The low cost of consultation compared with Israel, but also high quality. 9. Received answers about the cost of surveys, which will allow you to plan a future budget for the trip. She found information about Bookimed on the Internet. My aunt was diagnosed with breast cancer 2 st. We decided to undergo treatment abroad. Coordinator Alena Soyak advised Turkey, Anadolu clinic. After 10 days my aunt was already in the clinic. There are clear positive results. Everyone is very pleased with both the clinic and the quality of service. Special thanks to the Bookimed coordinator Alyona Soyak for her work. It follows the important in the shortest possible time. Thank you very much! Who has the opportunity to use the services of this center, I advise everyone. 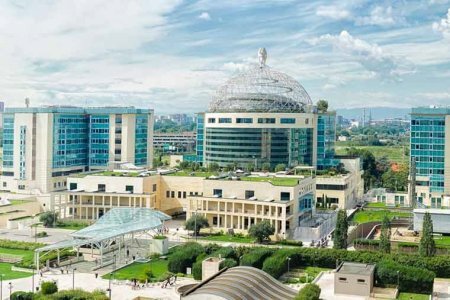 Anadolu Medical Center cooperates with top American medical facility — Johns Hopkins Hospital. Doctors interchange their experience with American colleges and implement it at Anadolu. It means that patients with breast cancer undergo treatment according to the American standards. The specialized Breast Cancer Center works on Anadolu premises. Prof. Metin Cakmakci manages the surgical breast cancer treatment. The doctor focuses on breast-preserving operations. 100% of patients are satisfied with an individual treatment approach of Prof. Metin Cakmakci. 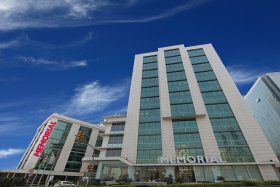 It makes Anadolu one of the top breast cancer centers. Anadolu is 1 out of 30 hospitals in the world accredited by the Organization of European Cancer Institutes. The cost of breast cancer diagnostics at Anadolu Medical Center ranges from $940 to $1450. The medical center offers breast cancer treatments from $800 to $31000. The treatment cost depends on procedures required and condition complexity. The average hospital's ranking 4.5 according to 116 patients reviews. This hospital is typically chosen by patients from Ukraine, Russian Federation and Kazakhstan. The travel arrangement takes 3 days. The medical center provides a patient with free airport-clinic transfer, free clinic-airport transfer and translator. Submit a request on Bookimed website and get the breast cancer treatment cost in Turkey and other countries. I'll start with the most important thing. The most important thing in a huge sea of ​​information is to choose the right "light", "lighthouse", which will point the way to a person who finds himself in this abyss with a limited time and money limit. I was lucky that I went to the website "Bukimed". I was contacted by coordinating physician Ivan Koval, who was very tactful and at the same time confidently leading me forward. I rushed from one clinic to another, from one operator to another, he calmly explained to me all the pros and cons and was support even when I already completely refused his help and tuned in to another operator. Even then, he very tactfully warned about possible pitfalls and continued to be an assistant. As a result, I took his advice and did not regret it. Hi Medical is very sympathetic to customers, helps with everything, tries to reduce customer costs, where possible. Organizes as quickly as possible consultations and time-examination. Special thanks to Victoria, who spins like a squirrel in a wheel to keep everything in order, always in touch and will not rest until the matter is brought to an end. My treatment is not yet complete, but I'm glad that I got into such a nice team, which brightens up, as much as possible, a person's life one-to-one with his illness. Thank you and for a healthy sense of humor, it also helps to overcome illness!))) And, still. Ivan was in touch with me throughout his stay in Israel. He was convinced that I flew, I was met and I was engaged. He made sure that I get everything that was promised. And after my return home, too, remains in touch, helping in my next steps. Thanks for the help! Good afternoon! I am grateful to Konstantin for advising me on this clinic. For the past 7 months I've been there I'm paying special thanks to the coordinator of Victoria and thanks to the whole team. Victoria is not only the coordinator of my treatment in the clinic, but she has become for me a very close person with whom one can consult, who can "weep in the vest." During the treatment, if necessary, she provided me with transportation, mostly free of charge. I tried to save my money if possible. Organized a convenient for me schedule of visits, consultations of doctors and medical procedures. The clinic has excellent qualified doctors and the latest equipment. To other patients who want to be treated at this clinic, I can say with certainty that thanks to the coordinator of Victoria and her team, they will receive not only qualified medical care, but also warm human relations and help in the organization of treatment. Treatment is a long and very great influence has the attitude of the host and doctors. The attitude is very good, sincere.This is very important. All our requests and wishes have been fulfilled. I am satisfied that I chose this medical center. Treatment in the clinic I will recommend to others. One of the highest recovery rates of breast cancer in the world — 90%. Over 220,000 foreigners choose Sourasky annually. Quick response from the hospital. It is possible to arrange the treatment within 3 days with Bookimed. The cost of breast cancer diagnostics at Sourasky Medical Center starts from $2000. The medical center offers breast cancer treatments from $9000 to $31000. The treatment cost depends on procedures required and condition complexity. The average hospital's ranking 4.4 according to 82 patients reviews. This hospital is typically chosen by patients from Russian Federation, Ukraine and Poland. The travel arrangement takes 2 days. The medical center provides a patient with free airport-clinic transfer, paid clinic-airport transfer and translator. Submit a request on Bookimed website and get the breast cancer treatment cost in Israel and other countries. Hello. I went to a clinic in Germany, Bookimed helped me a lot. Alexander and Kiril were very attentive to my problem. Thank them so much. The clinic was very carefully selected for treatment, where I was very well received. The whole team helped me and answered all my questions. I cannot say anything for the treatment so far as the protocol has just been appointed and there is no result yet. If you want to find a good clinic, I advise everyone to use the services of Bookimed. Treatment was my mother. I accompanied her. Treatment very much. Do not doubt the professionalism of doctors. The hospital is very large. Special thanks to the employees of the company Phoenix. They try to make the patient's stay comfortable, make every effort to write the patient to the doctors as soon as possible to reduce stay abroad, and also show patience and understanding to the psychological condition of the patient and his relatives. Nordwest Breast Cancer Clinic is certified by the German Cancer Society. This breast cancer hospital ranking ensures a patient in a high oncologists’ professionalism and application of the latest equipment. Nordwest is listed among top centers in Germany according to the Focus rating. 62,000 patients are treated at Nordwest annually. The medical center offers breast cancer treatments from $13600 to $21900. The treatment cost depends on procedures required and condition complexity. The average hospital's ranking 4.4 according to 33 patients reviews. This hospital is typically chosen by patients from Russian Federation, France and Ukraine. The travel arrangement takes 3 days. The medical center provides a patient with free airport-clinic transfer, free clinic-airport transfer and translator. Submit a request on Bookimed website and get the breast cancer treatment cost in Germany and other countries. Very quick and clear consultation of Bookimed coordinators. For several hours, they helped organize a consultation at the clinic and lure the flight. A transfer from the airport to the city was also organized. In the clinic, with the help of coordinators, a consultation with explanations was successfully held, diagnostics were carried out, and the treatment process started. Very good attitude of doctors. Good afternoon everyone! The company bukimed very much helped in solving the terrible misfortune that happened in my family - this is cancer, namely the consultant Koval Ivan, gave hope for the recovery of my aunt. A couple of words about how the bukimed advised us with the hospital: we filed an application with a specific problem, and on the same day we received a call from the consultant Ivan, exactly one day we were offered three hospital options in Europe with a full description of the doctors and the cost of treatment. A week later we were already in Germany at a reception with Professor Dr. Hensch, the consultation was held at a very high level. Now my aunt is being treated and I'm sure that the treatment will be successful.)) I think the aunt will tell in more detail after full recovery. Personally from myself and from the weight of my family, I want to say HUGE thanks to the company Bukimed and Ivan for the quality work. Doctors are sympathetic as are coordinators with an interpreter. In general, the clinic and staff act professionally and quickly. On a medical examination the gynecologist at me has found out inspissation and has sent on a mammogram. It turned out - breast cancer, it is necessary to remove the left breast, undergo chemotherapy courses ... I was terrified. On the Internet, I read reviews about treatment in Germany and decided that there was already nothing to lose. For the price / quality selected city hospital in Solingen. Me дообследовали, and have told or said - that the breast can be saved, and a chemotherapy have appointed or nominated on a minimum. As a result - there is no cancer, the form of the breast was corrected right away, the seam is thin and inconspicuous (you can go to the beach, even to nudists). I am very pleased. Solingen is included in top German medical facilities rating according to the Focus magazine report. While composing the list, Focus journal has taken into account equipment of the center, qualification of doctors, level of service, and reviews of patients. Solingen is accredited by the German Cancer Society for the effectiveness of therapy. It makes Solingen one of the best breast cancer treatment centers. Doctors use innovative Mammomat Inspiration mammography to diagnose breast cancer. It detects even the tiniest tumors. The device is safe for women's health because its radiation dose is 30% lower compared to other mammography units. The medical center offers breast cancer treatments from $11400 to $18100. The treatment cost depends on procedures required and condition complexity. The average hospital's ranking 4.4 according to 50 patients reviews. This hospital is typically chosen by patients from Russian Federation, Tajikistan and Ukraine. The travel arrangement takes 5 days. The medical center provides a patient with paid airport-clinic transfer, paid clinic-airport transfer and translator. Submit a request on Bookimed website and get the breast cancer treatment cost in Germany and other countries. Very, very pleased with the interaction with Bookimed. Has been treated for breast cancer. In November 2018, she flew to Istanbul, Medipol and Anadolu clinics for examination. Helped with tickets, travel arrangements, always stayed in touch. The coordinator from Bookimed has a medical education, can qualitatively advise on clinics, doctors. For me personally, this is a big plus. Before that I was treated in Israel, I organized everything on my own and spent incomparably more time, energy and nerves. I will work with Bookimed in the future and recommend it to my friends. The medical center offers breast cancer treatments from $4000 to $11500. The treatment cost depends on procedures required and condition complexity. The average hospital's ranking 4.5 according to 90 patients reviews. This hospital is typically chosen by patients from Ukraine, Russian Federation and Georgia. The travel arrangement takes 4 days. The medical center provides a patient with free airport-clinic transfer, free clinic-airport transfer and translator. Submit a request on Bookimed website and get the breast cancer treatment cost in Turkey and other countries. How much does breast cancer treatment cost ? Doctors calculate the cost of breast cancer treatment individually for each patient. The price depends on the disease type, complications (if any), hospital's reputation, and doctor's experience. You may get the final breast cancer treatment cost only after complete diagnostics and consultation with a doctor. The average cost of breast cancer diagnostics is $1400. The lowest price is $620 and the highest — $2000. The average treatment price is $12100. The lowest price is $800 and the highest — $40500. Absolutely everything was well. We are satisfied. Thank you very much! Very fast reaction from Bookimed in communication. 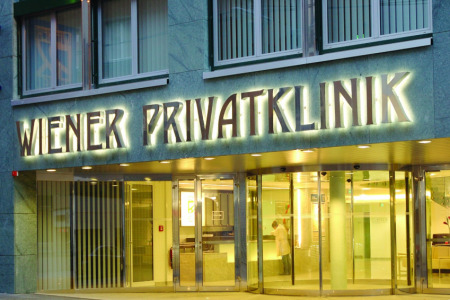 Initial discussion was for an appointment in AKH and subsequently we have been forwarded to the Privatklinik. The Klinik looks very well managed. We still did not proceed with the treatment and I'm not currently able to share opinion about the Clinic itself and the treatment (will come back soon, once have treatment there). I've been in the Wiener Privatklinik for a consultation. I manage to meet the exact doctors/professors for which I was looking for a contact and did a good job. The whole story was organized and managed by Bookimed with care for the patient. Angelina Ivanenko was my contact in Bookimed and even she was on vacation for the Christmas holidays she did not put on hold the communication. For us this was very important that we are not losing time. Very warm attitudes towards patients in this clinic, attentive nurses. Everyone wants to help, makes any concessions. I am very pleased to be here and undergo treatment. The clinic seems to be normal, conditions are good. The doctor is competent enough, so far, at this stage. , many patients, it is necessary to wait for a place in the ward. 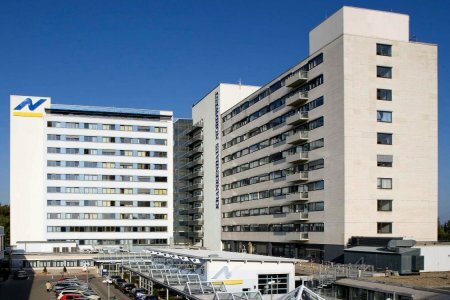 The best hospital in Austria according to the Austrian Insurance Association survey. One of the best breast cancer oncologists in Europe. Prof. Christoph Zielinski was named the President of the Central European Cooperative Oncology Group and became a member of ESMO (European Society for Medical Oncology). The doctor leads clinical trials and research to treat breast cancer and applies new developments. 95% of patients satisfied with the treatment according to Vienna Privatklinik data. Looking back on the past life, I can say that I did not go to doctors regularly. I thought this: the disease itself came, she herself will leave. Only sometimes I went on an ECG, because at the age of twelve I suffered myocarditis. And since I worked very hard for many years, I can say that I worked as a "slave on galleys," I always stopped near the pharmacy and measured the pressure. My wife and I have a very happy family life and I was worried that one day a love relationship could be misfired. For this reason, I underwent routine prophylactic examinations of the prostate. In 2001 I retired. At the insistence of my wife, I went to the examination. Frequent urination, which worried me a bit, I explained by the supercooling of the bladder. In the course of the survey, among others, prostate-specific antigen (PSA) was determined. In December 2001, it was: 3.1 μg / l. I was told that there was nothing to worry about. But I did not relax and (together with my wife!) With some skepticism found on the Internet a lot of information regarding the prostate and began to regularly (on a fee basis) determine my PSA. After a year, he was 4.2. After another 8 months, 5.0 μg / l. Then he froze for a while. In 2005, he again crawled up from 5.5, bypassing 7.0, and amounted to 10.1 mkg / l in December 2005. At the end of January I had to do a biopsy. Out of 12 samples, tissues 2 were positive. For me it was not a surprise, but, as they say, hope dies last. The biopsy did not seem to me painful, although somewhat unpleasant. As it seems to me, it is not necessary to be afraid of it. Already in mid-January, I was internally prepared for a serious test called "prostate carcinoma". At the same time, my wife learned about the event held by the self-help group on the topic "Prostate". At this event, the professor, MD, A. Böhle should make a report on the high degree of risk in the prostate and about brachytherapy, which I already knew from the Internet. In this event my wife and I took part. Professor A. Böhle answered our questions with exhaustive answers. I felt psychologically well prepared to hear the "fatal news" from the results of a biopsy. Our solution, i.e. not mine, but the decision taken by my wife and myself, in case of passing a serious test, was taken in advance. 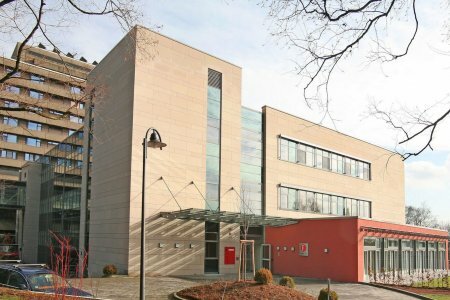 To conduct brachytherapy by Professor Böhle at the HELIOS hospital named after Agnes Karl in Bad Schwartau, I was assigned the day of the operation in May 2006. In 14 days the wedding of our youngest daughter was due. I so wanted to be in shape again to this day. Preliminary examinations that were usual for such a case were completed. It was found out that I also have an enlarged prostate, the so-called benign prostatic hyperplasia, and it needs to be reduced (with the help of medications) before the operation. Brachytherapy went according to plan: I was implanted 81 micro-source of radioactive radiation (the so-called "Seeds"). After 2 days I was at home, finished the remaining work in the garden and started preparing for the wedding together with my wife. As expected, the wedding sang and danced until the morning. I well endured this holiday, although I had to put up with side effects (frequent urge to urinate and frequent urination). Over time, erectile dysfunction arose. To eliminate it, I take tablets, so-called, PD 5- inhibitors. Almost 3 years have passed since the brachytherapy. I can say that I feel well, there was no recurrence of cancer. From the perspective of today, I consider brachytherapy to be one of the best and most sparing methods of treating prostate carcinoma. However, I recommend that every man undergo preventive examinations, and in addition to them at regular intervals determine the value of PSA. It, although it is not a tumor marker, but it should be considered as a very important medical parameter. When complaints about the condition of the bladder and prostate should be addressed in time to the urologist. I confess, I, perhaps, long delayed. Perhaps I would have created more favorable medical conditions for brachytherapy, for example, fewer micro sources of "Seeds". But, as they say, to know where to fall, there would straws and podstelil. A spouse or spouse should also be publicly informed about changes in the health sphere that have a negative impact or can affect the sexual life. In my opinion, this will have a positive impact on the strengthening of mutual trust and mutual consent. However, medical measures aimed at treating the disease as such, such as cancer, must always be in the center of attention. The Breast Cancer Center at Helios Berlin Buch is certified by the German Cancer Society. This confirms a high technical level of medical equipment, diagnosis accuracy, treatment effectiveness, and doctors' experience. High level of patients' satisfaction. 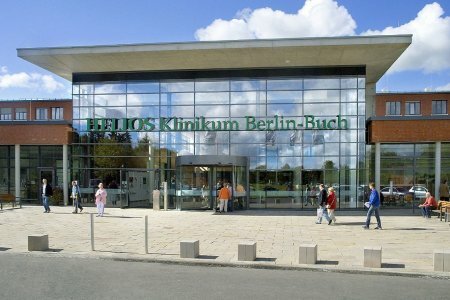 According to Helios Berlin Buch data, 97% of patients, who treated cancer here, recommend the hospital to other people. 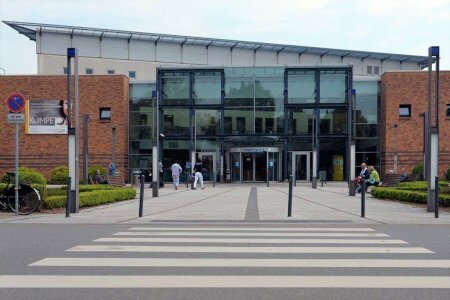 The hospital is ranked among top medical centers in Germany according to the Focus magazine version. The rating is based on the technical level of medical equipment, success rates of therapies, and patients' reviews. 200,000 patients choose Helios Berlin Buch for treatment annually. 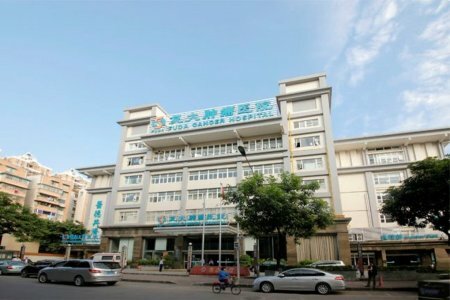 Specialized Breast Cancer Hospital works on Bumrungrad premises. Breast cancer treatment involving IBM Watson artificial intelligence. According to IBM data, Watson supercomputer for oncology chooses the most effective breast cancer with 83% accuracy. It collects medical histories of over 25,000 cancer patients registered in the world best breast cancer treatment hospitals. IBM Watson scans all of them for several minutes and chooses the most adequate breast cancer treatment in your particular case. 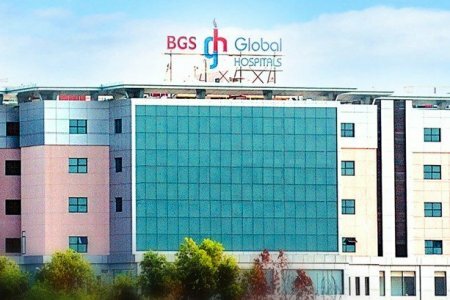 Bumrungrad is the 1st medical center outside America accredited by GHA (Global Healthcare Accreditation). 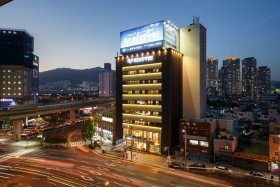 It confirms Bumrungrad compliance with the medical tourism demands. 520,000 foreigners undergo treatment at Bumrungrad each year. The medical center offers breast cancer treatments from $9700 to $15700. The treatment cost depends on procedures required and condition complexity. The average hospital's ranking 4.3 according to 28 patients reviews. 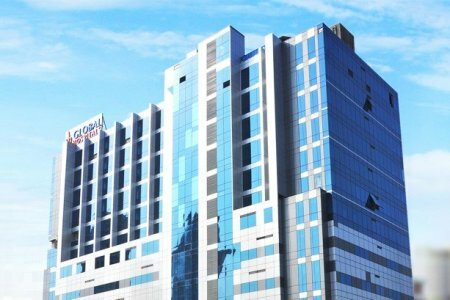 This hospital is typically chosen by patients from Uganda and Ukraine. The travel arrangement takes 5 days. Submit a request on Bookimed website and get the breast cancer treatment cost in Thailand and other countries. Breast Center of Asklepios Barmbek is certified by the German Cancer Society. 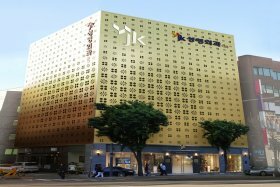 The center shows the highest recovery rate indexes, the most innovative equipment, and employs best breast specialists. It is among top best breast cancer treatment centers in Germany according to the Focus magazine rating, the most authoritative journals in Germany. 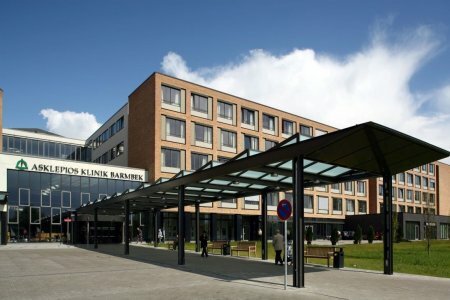 Over 16,000 foreign patients choose Asklepios Barmbek to treat breast cancer in Germany. The medical center offers breast cancer treatments from $11400 to $24900. The treatment cost depends on procedures required and condition complexity. The average hospital's ranking 4.6 according to 49 patients reviews. This hospital is typically chosen by patients from Russian Federation. The travel arrangement takes 6 days. The medical center provides a patient with paid airport-clinic transfer, paid clinic-airport transfer and translator. Submit a request on Bookimed website and get the breast cancer treatment cost in Germany and other countries. Teknon Oncology Institute is a partner of the Memorial Sloan-Kettering Cancer Center in New York, one of the top medical facilities in the USA. Due to this cooperation, Teknon specialists implement American technologies to treat breast cancer. It makes Teknon one of top breast cancer hospitals in Spain. 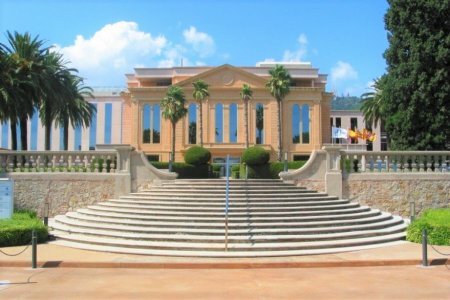 One of the leading medical facilities in Spain according to Teknon data. Yes, the level and quality of medicine is high, doctors are real professionals. 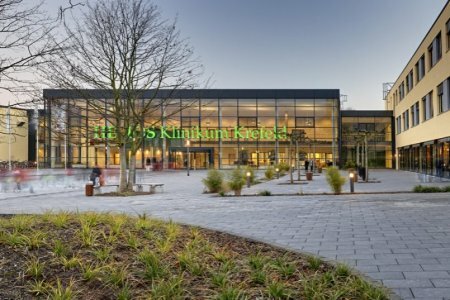 The Cancer Center of Helios Krefeld is certified by German Cancer Society. It means a patient receives access to the best equipment and specialists regarding breast cancer treatment in Germany. The experienced specialists with at least 10 years of experience. A lot of doctors from Helios Krefeld head top German and European medical societies. “Cold cap” is applied during chemotherapy cycles. It significantly reduces hair loss during the breast cancer treatment, so a woman looks healthy and feels confident. The medical center offers breast cancer treatments from $6900 to $36600. The treatment cost depends on procedures required and condition complexity. The average hospital's ranking 3.6 according to 16 patients reviews. This hospital is typically chosen by patients from Russian Federation. Submit a request on Bookimed website and get the breast cancer treatment cost in Germany and other countries. 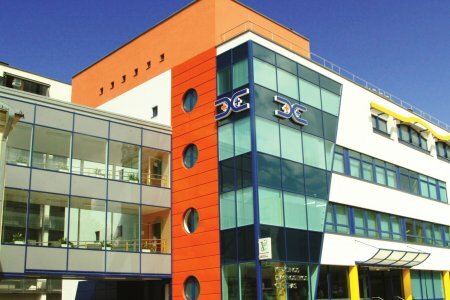 The hospital is certified by the German Cancer Society. It means the center complies with the most strict German treatment protocols regarding breast cancer. The best cancer specialists. A lot of doctors at Gesundheit Nord practice in the leading American hospitals to receive new experience. Then, they implement innovations in Germany, so patients have access to the latest breast cancer treatment options. 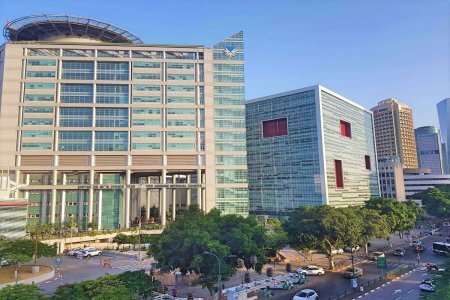 Rambam is in Top 3 hospitals in Israel according to the Ministry of Health report. Rambam Cancer Center is accredited by European Society for Medical Oncology. 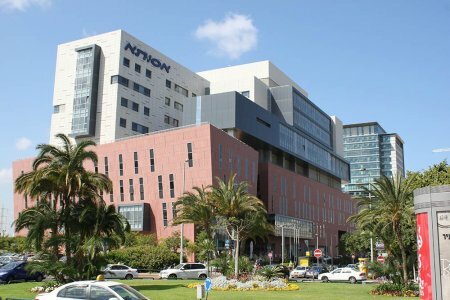 It means the hospital complies with both Israeli and European treatment demands in oncology. Close cooperation with such top American facilities as Johns Hopkins and Harvard University to develop the vaccine against cancer. Innovative Margin Probe technology is used during lumpectomy (the segmental removal of the breast) to preserve healthy tissues. Microsurgical breast reconstruction with own patient’s tissues. The medical center offers breast cancer treatments from $9500 to $12000. The treatment cost depends on procedures required and condition complexity. The average hospital's ranking 5 according to 3 patients reviews. This hospital is typically chosen by patients from Bermuda. The travel arrangement takes 4 days. The medical center provides a patient with free airport-clinic transfer, paid clinic-airport transfer and translator. Submit a request on Bookimed website and get the breast cancer treatment cost in Israel and other countries. 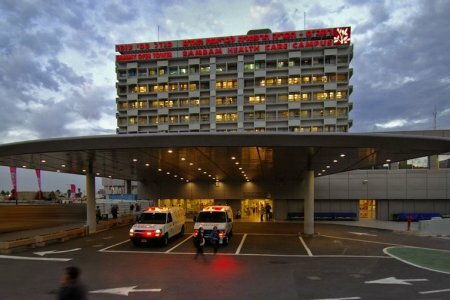 Awarded as the most technically advanced hospital in the Middle East. Each 2 years all the equipment is renovated. Organ-preserving treatment of breast cancer. Specialists apply Intrabeam — the innovative irradiation method. It destroys malignant cells during the surgery, so only a tumor is removed. No queues. Assuta is a private hospital, so a patient can go for breast cancer treatment within several days after the request on Bookimed. The cost of breast cancer diagnostics at Assuta Medical Center ranges from $1550 to $1650. The medical center offers breast cancer treatments from $14000 to $18700. The treatment cost depends on procedures required and condition complexity. The average hospital's ranking 4.7 according to 28 patients reviews. This hospital is typically chosen by patients from Russian Federation and Ukraine. The travel arrangement takes 2 days. The medical center provides a patient with free airport-clinic transfer, paid clinic-airport transfer and translator. Submit a request on Bookimed website and get the breast cancer treatment cost in Israel and other countries. The only doctor who intelligibly explained everything! Attitudes towards the patient are positive! Translator Leisyan thanks! Coordinators Olga and Yana are in touch, they explain everything! I didn’t expect to meet this level of service! Thanks a lot!!! After visiting Liv Hospital we had only good impressions. Dr. Selemi Suzubish - above all praise, he was very polite, correct, patient, answered all our questions in detail and explained. Also very satisfied with the work of coordinator Bakhtygul and translators Renata and Madina. It should be noted that the procedure for examination on a "steep" tomograph turned out to be very difficult and difficult for the child. In one reception we did not pass it, the second part was spent the next day. The results were announced to us the next day, we received the disk, but so far there is no research protocol. His Bakhtigul promised to send by e-mail. The quality of the work of your coordinator Bookimed Konstantin Siminenko happy. We express our gratitude and gratitude to all! Sincerely, Tatiana and Zlata Buturov city Izmail Odessa region. Iam very satisfied about healthcare and responsibility. The service provide good medical treatment and care . Bookimed doctors are very responsible,kind ,keen and they help pt by kind . They are very quick in replaying and clear all thing It’s amazing. My dad, radiation therapy, 40 sessions, about 2 months of stay in Istanbul were treated in the clinic. It's still early to speak about the results, therefore the review is exclusively about the process (!) For now. The choice helped to make bookimed, and I highly recommend using this excellent service. As a user, I would like to name the most basic plus. First and foremost, it is time saving, and in some cases it is equivalent to the preservation of health and life. And what is important, without costs for the patient, there is simply no payment for the company's service. Moreover, service coordinators are a huge resource for patients. We had Konstantin, and we are very grateful for the help and the choice of the best medical solution (at the price / quality / reputation of the doctor / clinic) and great help in solving logistical issues. When we have to deal with "medical tourism", there are no tourism patients for the patients there: (In addition to the medical problem, there are many practical, financial, coordination issues. It is important to have support on the side of the patient, we are very grateful. Now about the clinic: in general, the clinic liked, very modern and good equipment (so it was chosen), a good price-quality ratio. . From the pros: the doctor radiologist and the staff of the radiological department were attentive and in matters of medicine, and just a relationship. 40 sessions are 40 visits to the clinic, it is difficult, both physically and morally. The benevolent staff really helped make this experience less painful in all respects. I will not write much about the interior of the clinic, but for whom the aesthetics are important, yes, everything is excellent, modern, clean, often more like a hotel. As elsewhere, there is a large team of translators. To communicate with doctors used English directly, there certainly are many advantages. But all 40 sessions and not only were always assisted by translators in communicating with junior honey. personnel, coordination issues, medical records to the doctor, analyzes, transfers, etc. From the minuses: The clinic is in a very expensive and difficult physically accessible area (on a hill). Despite the fact that we lived side by side (significantly overpaying compared to other areas of Istanbul), we had to use motor transport every day. For a short stay, this is not a problem, but when a longer period is still an inconvenience. Some translators of the clinic introduced the category of "minuses" of the clinic. People are different, qualification, too, but it was still in a significant minority (our main interpreter was both professional and human). Again in the minority (! ), But for the objectivity to mention, some doctors offered super expensive tests in very standard situations. For example, oh, well, if you want, in addition to the X-ray, we can do another CT scan (when coughing), which besides doubtful honey. values ​​(not to mention money) was recently and so done. Again, our main doctor is very intelligible and enthusiastically explained the essence of the treatment, the expected effect, side effects, prescribed drugs on time to eliminate them, which of course, most important! As a conclusion, the minuses will always and everywhere, but in general, from our experience, we are satisfied with the process of treatment in the LIV hospital. Thank you hospital and bukimed team. Liv is the 1st recognized Center of Excellence outside the USA in colorectal and robotic surgery by SRC (Surgical Review Corporation). It is an internationally known healthcare leader to provide the high safety and efficiency of surgical treatment worldwide. Liv is certified by TÜV, European Technical Inspection Association. It confirms the high technological level of the applied equipment. Over 50,000 international patients choose Liv Hospital. Liv Cancer Center provides world-class oncology treatment options. Liv doctors apply intraoperative radiation to destroy malignant cells and prevent the relapse. This cancer treatment option is performed only once during a tumor removal. For comparison, traditional radiotherapy takes at least 1 month. The equipment at Liv is renovated each year, so specialists conduct cancer diagnostics and treatment using the latest accurate devices. Liv Hospital is a premium-class medical facility. Here you will feel comfortable like in a 5-star hotel. The medical center offers breast cancer treatments from $13000 to $27000. The treatment cost depends on procedures required and condition complexity. The average hospital's ranking 4.7 according to 55 patients reviews. The travel arrangement takes 4 days. Submit a request on Bookimed website and get the breast cancer treatment cost in Turkey and other countries. How much does a breast cancer treatment cost?